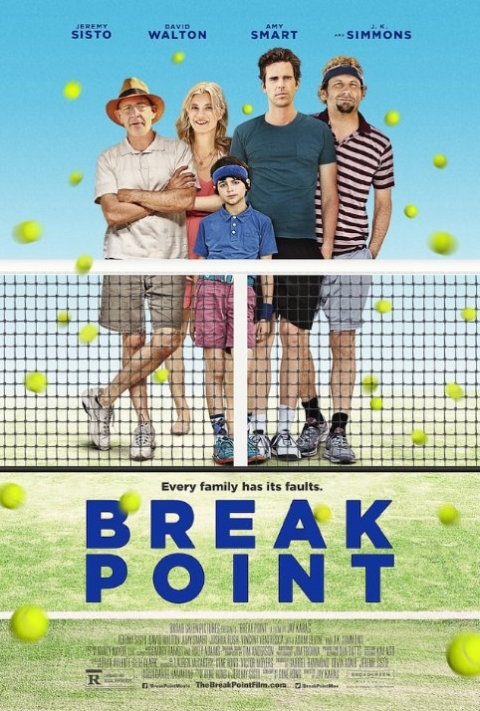 Just in time for the U.S. Open, Break Point is your typical sports comedy centered on two brothers in their mid-30s attempting to make a men's double run for the U.S. Open. 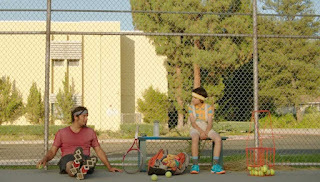 While one brother is a volatile hot mess both on and off the court, the other brother, long retired from professional tennis and now an unemployed substitute teacher with not much else going for him, both are long shots from the start. 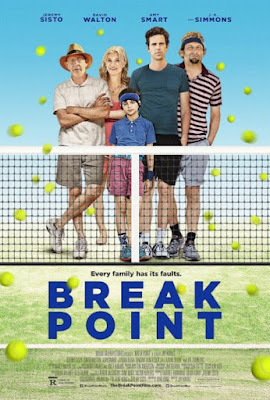 While the film has its moments and potential, the film unfortunately fails to maintain a rally that you would hope like Roger Federer can. 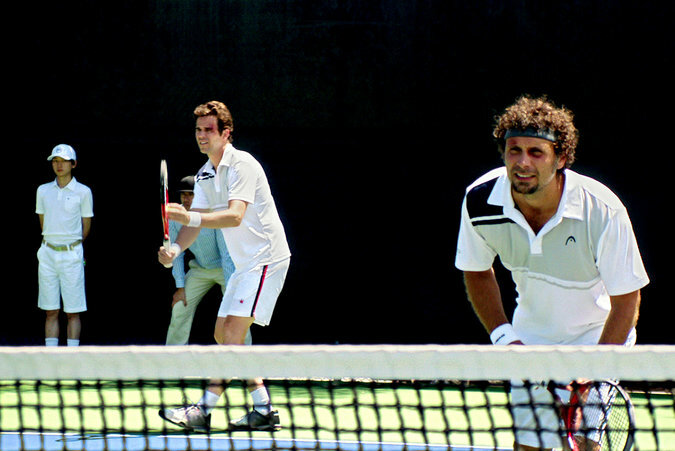 I am a big fan of sports comedies, so was excited for this film. One of the highlights of the film for me is the adorable 11 year old Barry played by Joshua Rush. He plays the innocent kid routine quite well as he follows around his substitute teacher Darren during his summer break like a lost puppy. Joshua's scene with Jeremy's character by the pool is a good example of when things are clicking in the film and you can enjoy the humor in the interaction between two starkly different characters. Unfortunately for the film, those type of scenes where the humor is good, and the comedic timing/delivery is spot on is far and few in between. 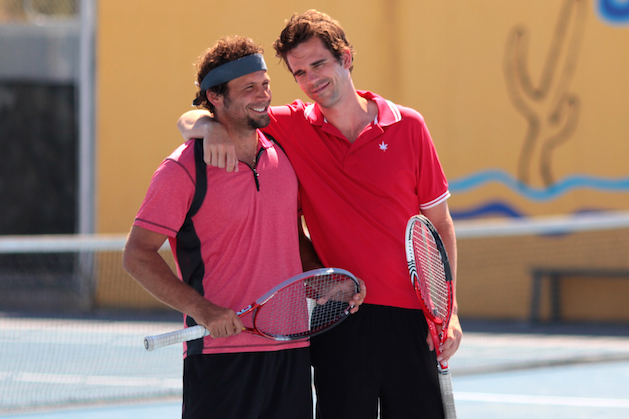 Both Jeremy Sisto and David Walton have had worked in comedies in the past, but they seem to not gel, even when the brothers are supposed to be clicking together again. The chemistry is just often not there. That goes the same with Jeremy and JK Simmons. Unfortunately for these type of films, it is incredibly important especially when the film is exploring the relationship between brothers in difficult times and in redemption together. Overall, I would recommend waiting for this film on Netflix or Cable. 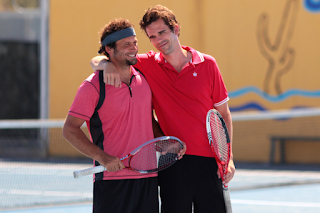 The movie may appeal to tennis fans and fans of sports comedies. 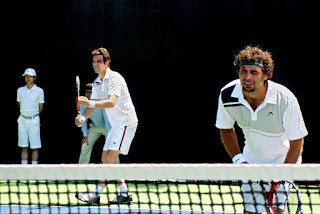 However there are better sports comedies or even comedies in general out there. The chemistry between the characters as I said were lacking, as well as the jokes could have been better told and/or written. 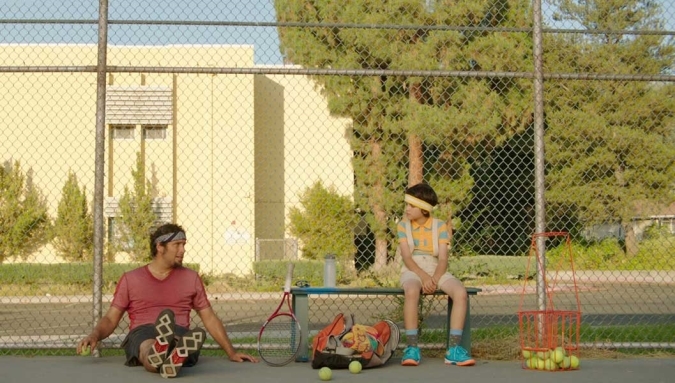 As well, for a tennis comedy, I was surprised that they didn't try to get some cameo appearances by some star players. Perhaps they tried to, but the players read the script? Though I think it may be more of a problem of the casting then the script.